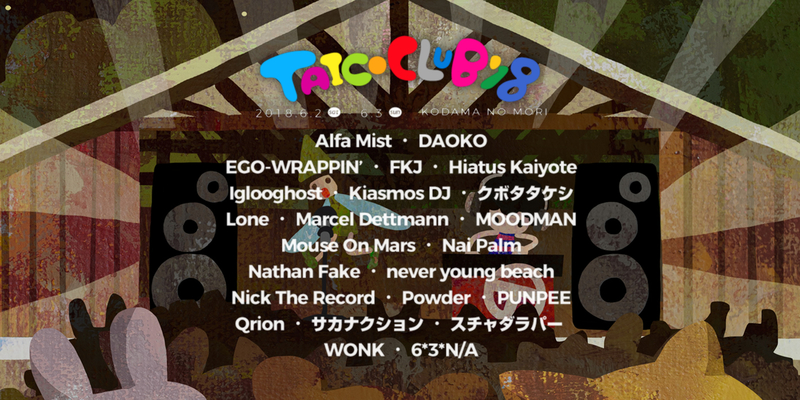 TAICOCLUB’18 announces 2 names in its line-up !! Sales Period: – Until all tickets sold out. Pitching a tent in camping site required “Tent ticket”. Entrance ticket, Tent ticket can be ordered with bus ticket. *For those who have already got entrance ticket, please apply for bus ticket only. The latest festival info, other information will be announced through our mailing list,LINE@,Facebook,twitter,as Instagram as necessary.